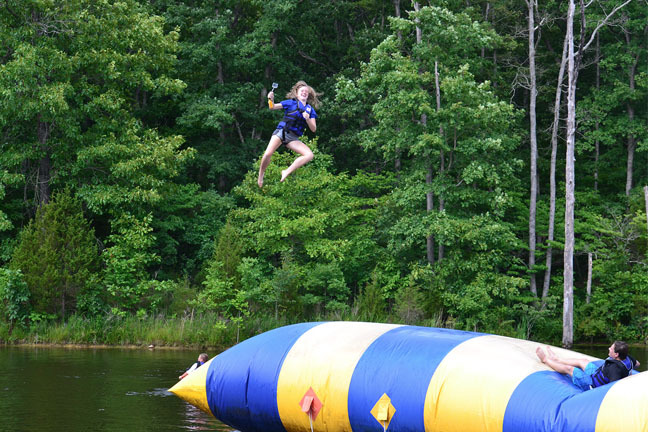 Retreat Centers – High Hill Christian Camp has two main buildings that are most frequently used for our rental groups. 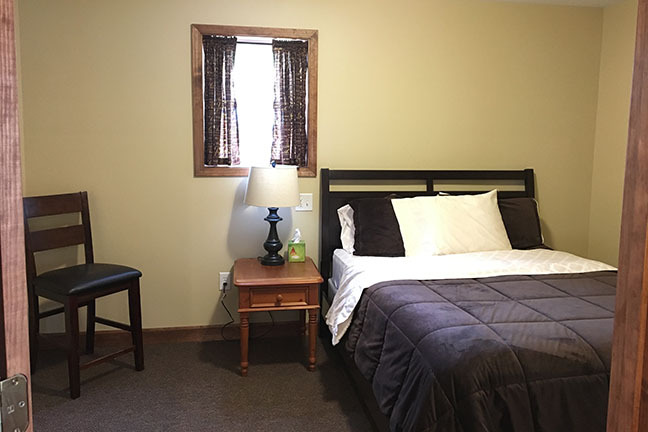 Groups smaller than 30 will enjoy the cozy atmosphere that Cedar Lodge has to offer, while larger groups will benefit from using a combination of Nebel Hall, our log cabins, and/or McKinzie Dorm. Nebel Hall is our largest meeting area. The upper level features a dining room that will accommodate up to 200 people and doubles as a meeting/worship area. 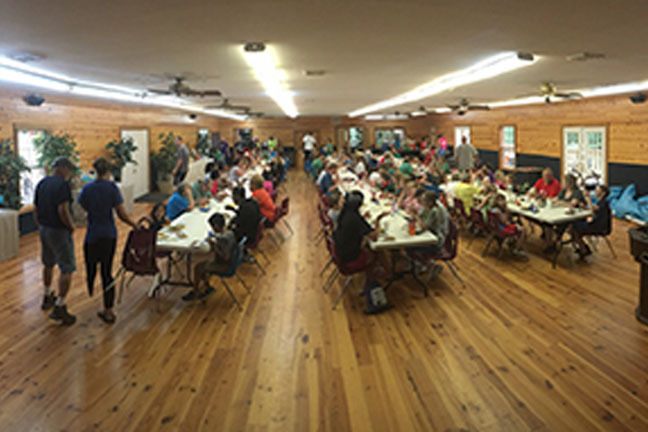 The entire building is air-conditioned and heated for year-round use. 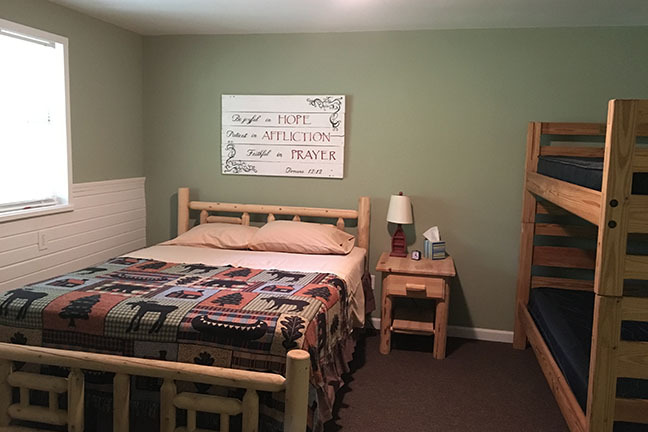 The lower level of this building features 8 sleeping rooms – each room has a queen-size bed (bedding provided) and one set of bunk beds (provide your own bedding for the bunk beds). Two sets of the eight rooms are joined together with a pass-through door that allows for easy access between rooms. 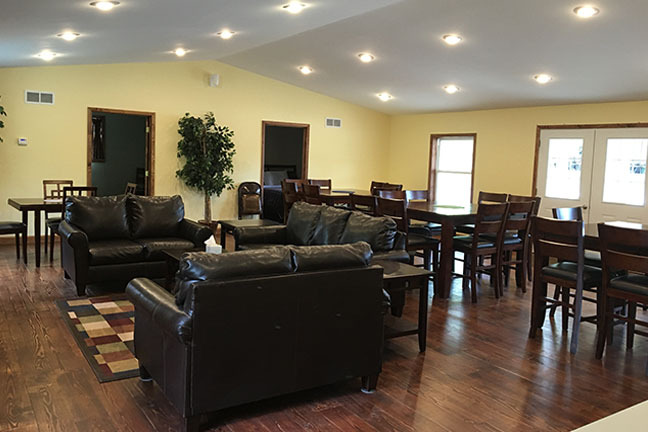 In addition to the sleeping rooms, the downstairs holds a lounge with log furniture, fireplace, and pool table for your leisurely enjoyment and a conference room for meetings. 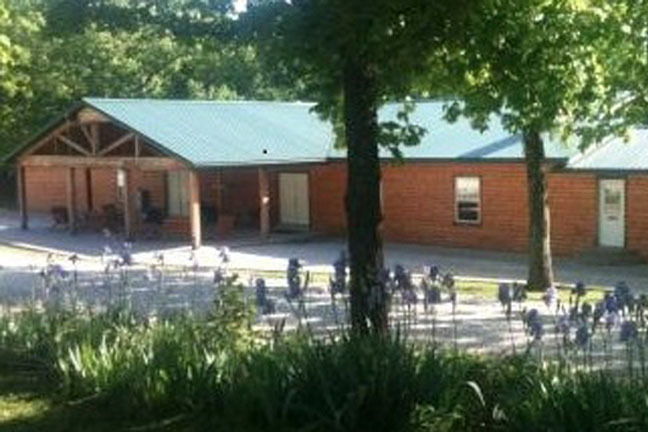 The lower level retreat center is complete with separate men’s and women’s bathrooms, each with 4 shower stalls. 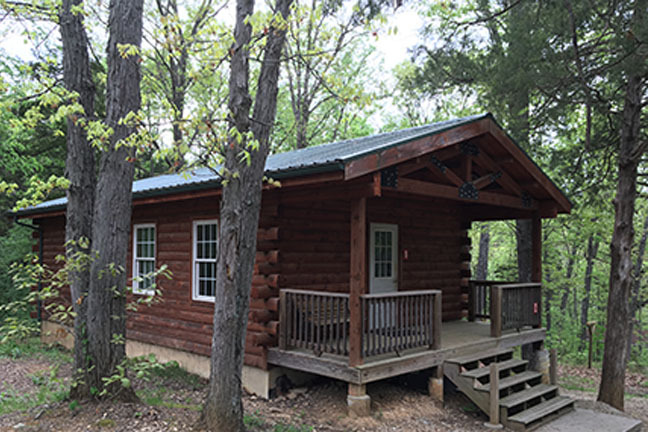 Cedar Lodge is the newest addition to the camp. 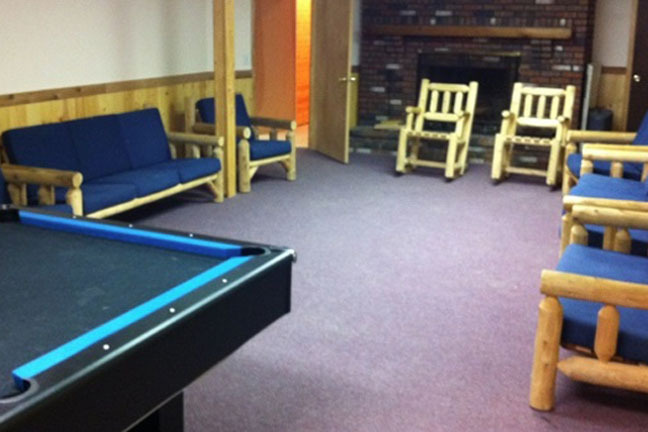 The upper level of this smaller retreat center is fully handicap-accessible. The upstairs features a kitchen, a large meeting room with a fireplace and a 55-inch flatscreen television, two bedrooms with queen-size beds and two handicap-accessible bathrooms. 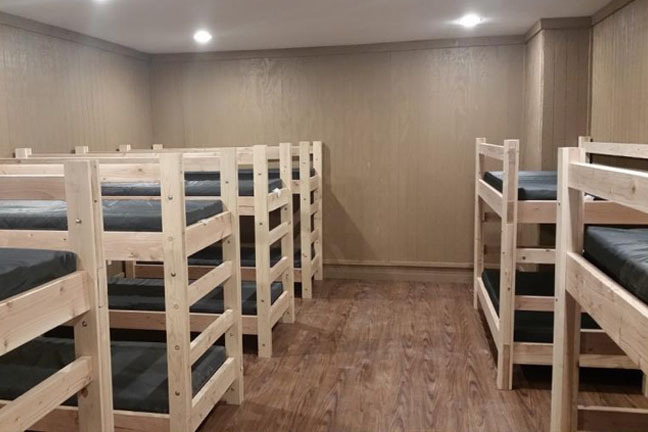 Downstairs are two dorm-style rooms with seven sets of bunks (sleeping a total of 28 downstairs), as well as bathrooms and showers for each room. Log Cabins We have two log cabins nestled into our more wooded area available for our larger groups who need more sleeping space. 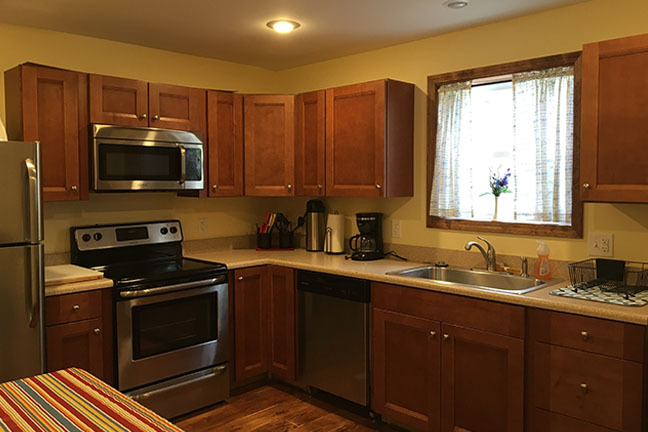 Cabins have both AC and heat, so they can be enjoyed year round. 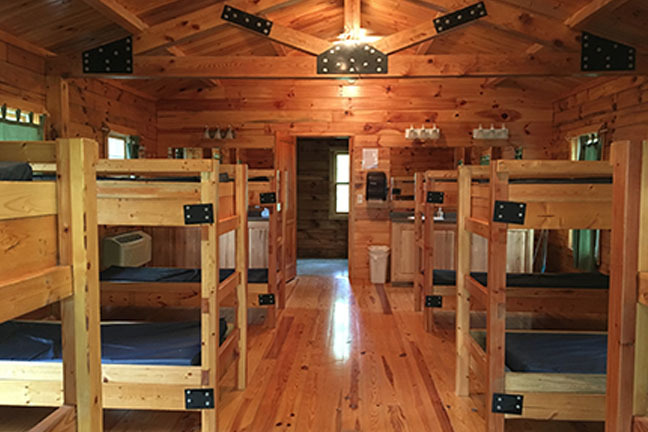 Our cabins have two levels, and each level will sleep up to 12 individuals (6 sets of bunk beds). Each level has separate bathrooms and showers for your convenience. 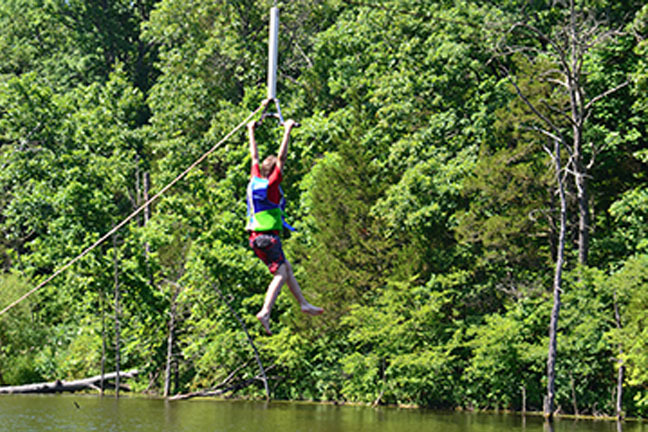 Please note: Cabins may only be reserved with use of Nebel Hall. 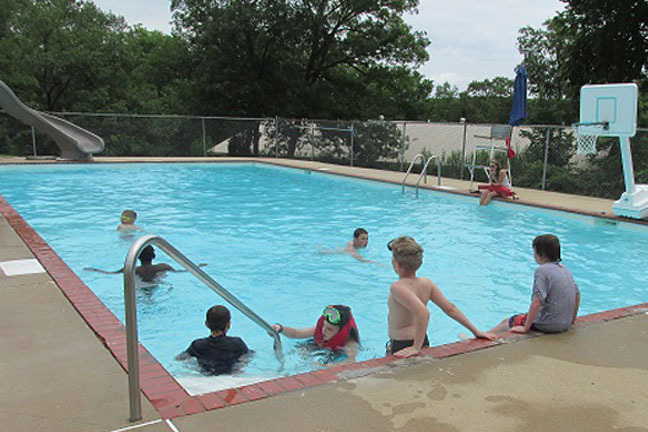 Pool For people who like a little more controlled environment while swimming, we offer a swimming pool. 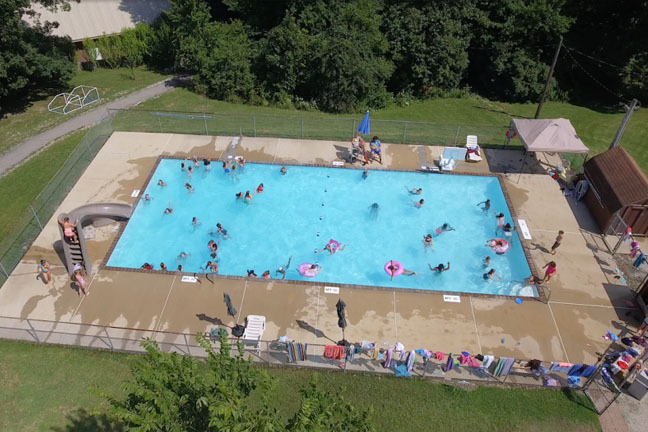 Our pool is 6′ at the deepest, where you will also find a water slide to enjoy. 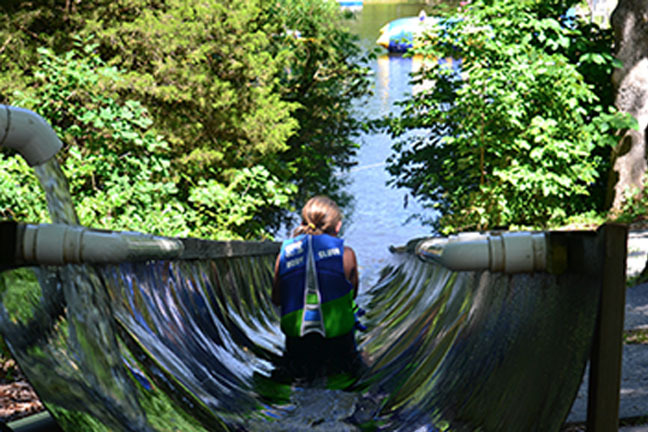 Our shallow end is 4′ where you can play games like water basketball or “dive” for our weighted water rings. If you are looking for a place to hold a retreat, leadership getaway, or a place to send your minister and family for a sabbatical, we can accommodate most requests. 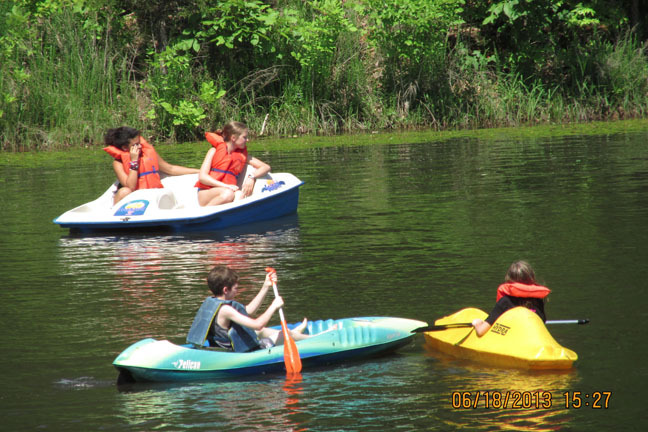 For more information, please call the camp office at 636.585.2262, email us, or click the button above to send a rental request.